Well this wraps up my July Remix series! I wanted to do something a little more fun for my final look, so I added some pops of color with this summery scarf and one of my favorite cross-body bags. This outfit is definitely on my idea list for the next concert I attend! Here are the 3 ways I styled my white sundress this month... Let me know which look was your favorite! I love this 3rd way, the scarf is the perfect touch! Ohhh, this third way is DEFINITELY my favorite. I love it with the scarf! 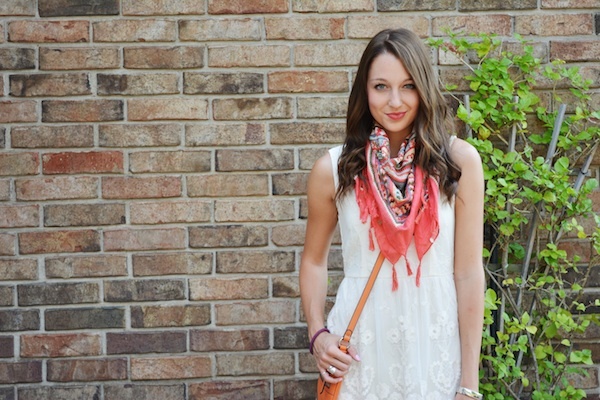 I never think of wear my scarves in the summer to dress up an outfit- I love it on you! Love it with the scarf and booties! I love the scarf w/the lace dress! Adds such a fun pop of color. You look seriously stunning in that dress! Love how you styled it three different ways! You look so cute, love that little dress. That scarf is gorgeous makes the look more boho chic and I love it , gorgeous pics . Very cute look. Spot on, fashion forward and easy breezy! i think i like the latest one the best! such a cute and versatile piece. 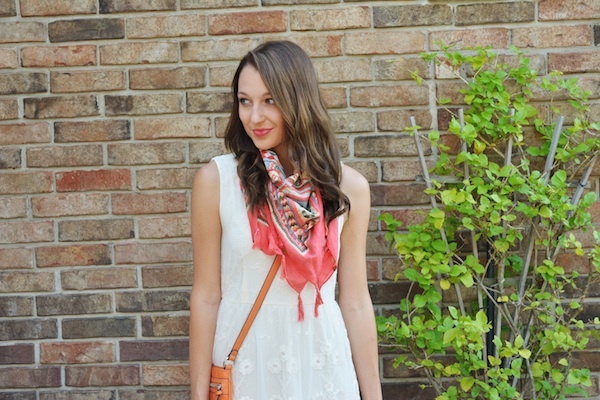 This dress + scarf combination is perfect! This styling is my favorite! Love the scarf! This dress is so gorgeous! I love it with the scarf! Love your different take on each outfit!! They are all fabulous but my favorite is with your grey boots and scarf! I like my outfits bold and colorful, so I have to go with the last one. The coral and orange together is marvelous! I adore the dress paired with the scarf and booties :) You're adorable! The possibilities are seriously endless with this dress girl! I freaking love it so much! And you keep reminding me of why I need this dress (or something very similar) in my closet. Like tomorrow lol. Can't wait to see how you style it with the military jacket and booties:)! P.S. Absolutely adore it with the scarf! Amazing outfit! 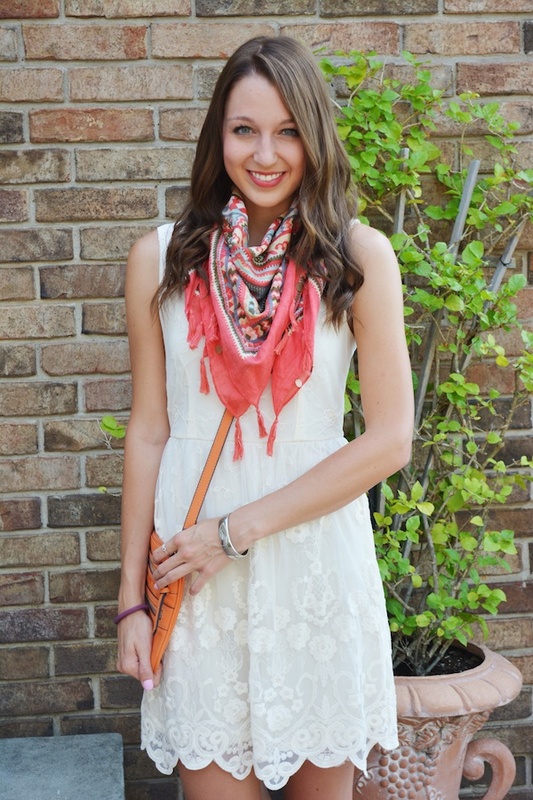 I love the simplicity in white, combined with the colorful scarf! !